Argument analysis: Are rivers an important part of the national parks? 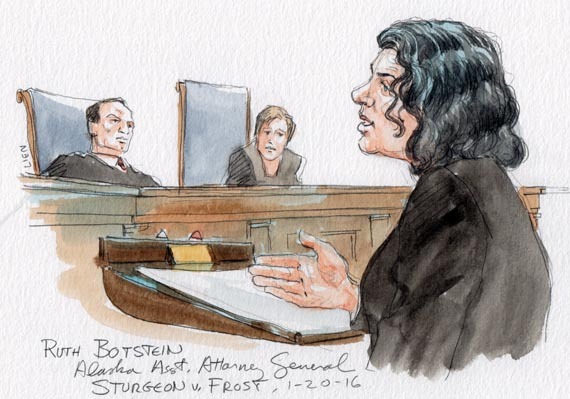 The oral argument in Sturgeon v. Frost confirmed our suspicions that it is a complicated and difficult case. 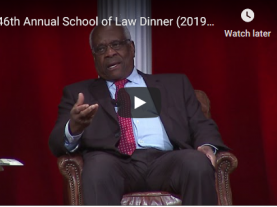 Throughout the argument, the Justices stumbled over their questions, and the back and forth among the Justices and the lawyers was hard to follow even for those steeped in the issues and law of the case. But, by the end of the argument, the positions of the parties and the Justices were somewhat clear. While predictions are difficult (and foolish, if one thinks people will remember), the consensus view of the participants seems to be that the Ninth Circuit’s opinion is in jeopardy. The Justices pushed the federal government to defend the opinion below, and it was like pulling teeth. But, predicting how the Justices will resolve the merits is more fraught. 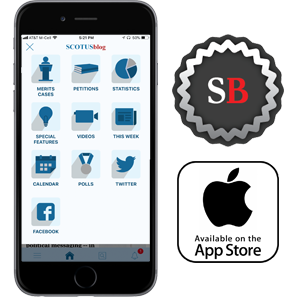 The lawyers for John Sturgeon and the state of Alaska (as amicus) tried to make the issues black and white and about federal overreach, but they were met full force by lawyerly and pragmatic questions from Justices Elena Kagan, Stephen Breyer, and Sonia Sotomayor. Justice Anthony Kennedy may be the swing Justice (surprise! ), and I couldn’t discern his vote from his questions. So, I’ll punt any further predictions. Sturgeon’s lawyer, Matthew Findley, led things off by clarifying the facts – that Sturgeon was on a river surrounded on both sides by federally owned, public land – and putting Sturgeon’s argument to the Court plainly: “[T]he Park Service does not have authority to issue its Park Management Regulations to cover State navigable waters that run through the” Alaska National Interest Lands Conservation Act parks. In a colloquy with Sotomayor, Findley argued that public lands, which are the only lands over which the National Park Service can promulgate regulations, were only those lands to which the United States holds title, and it did not hold title to the waters of the Nation River. The title to the submerged land beneath the river was granted to Alaska when it joined the Union – and, Findley contended, the United States did not own the title to the river water. Later in the argument, in an exchange between Assistant to the Solicitor General Rachel Kovner, representing the United States, and Justice Antonin Scalia and Chief Justice John Roberts, the issue of title came up again. The federal government’s position is that the United States does not own a title to the water, but rather a nonpossessory interest – a usufructory interest, or use of the fruits interest – in the water, and this gives it the power to regulate. The Justices pushed on this obscure corner of property law, and on the limits, if any, of the Park Service’s alleged power. As he pressed his argument, Findley made it clear that his argument did not depend on disputing the federal government’s ability to regulate the navigable waters of the United States. He conceded that the Coast Guard, the Army Corps of Engineers, the Environmental Protection Agency, and others have this power, which is derived from specific delegations from Congress. The claim was instead that the ANILCA did not grant the Park Service this power. The concern was whoa, if you’re about to surround us with these parks, we don’t want to be part of the parks, and we don’t want to be subject to park regulation. The idea was if you weren’t part of the park, you weren’t subject to park regulation the day before ANILCA was enacted, and that status quo carries through after ANILCA was enacted. In an exchange with Kennedy, Findley was able to give Section 103 of that statute the meaning Sturgeon believes it has. Kennedy asked whether an NPS rule banning fires in federal parks would apply on non-public lands inside of a federal park. Findley answered in the negative, noting that if the law were about parks, that is, solely about parks, then it wouldn’t apply, but if it were a general rule applying to all land in the country, like the Clean Water Act, then it would apply. That is Sturgeon’s interpretation of the statute and theory of the case. Early on and throughout the argument, Justice Samuel Alito expressed the most skepticism of the federal government’s claim, and especially the Ninth Circuit decision it was defending. 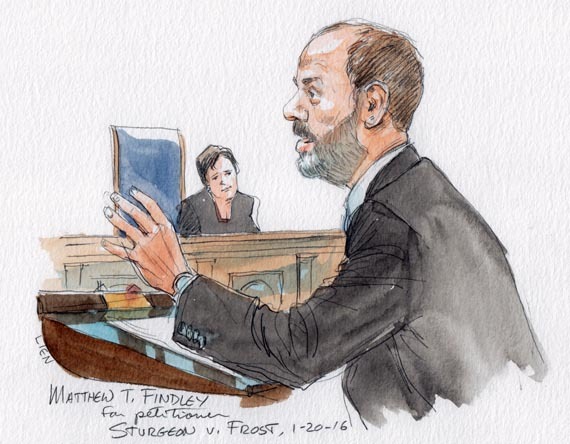 His questions leave the impression he will be a vote for Sturgeon, or, at the very least, unlikely to vote to let the Ninth Circuit opinion stand given the broad, but strange, power its opinion gives the NPS. At the end of Findley’s argument, Kagan and Sotomayor pushed on the meaning of the word “solely,” finding its use odd and not entirely consistent with the interpretation offered by Sturgeon. For instance, Kagan suggested that removing the word from the statute would still let Sturgeon win, which begs the question as to the purpose it is serving in the statute under this reading. Findley ended his presentation with an attempt to read the three parts of Section 103 in harmony: the first sentence defined non-public land as not part of the park; the second sentence said that federal regulations about public land in the park (and solely regulations about parks) wouldn’t apply to that land; and the third sentence said that if the federal government wanted to change this, it would have to take title to the land – that is, to make it federal or public land. Alaska Assistant Attorney Ruth Botstein then rose to defend Alaska’s ownership (subject to congressional control) of rivers within its boundaries and to provide the back story regarding the legislative compromise that gave birth to the state, extinguished native claims of title to land, and created a complicated tapestry of federal, state, native, and private land. Now, it seems to me a very strange thing that Congress would have created Federal lands in a Federal park but said that the Federal Park Service can’t have anything to do with the rivers. The rivers are like an important part of the park, aren’t they? Botstein used this as an opportunity to make two points. First, she contended, Sturgeon did not dispute the federal government’s ability to regulate rivers, but rather claimed that it simply had not done so in this case. Rather, she argued (as did Findley during his rebuttal), the claim is that the waters are inherently the sovereign interest of the state, and only a clear statement by Congress – such as in the laws creating various federal agencies, like the Coast Guard, or in various parks, like Olympic National Park – can override this interest. Second, Botstein continued, Alaska’s rivers are unique, in that they implicate the economic survivability of many Alaskans in ways that are not true in other states. She noted that many Alaskans can only reach their homes, property, or sacred and protected hunting grounds via rivers, which casts doubt on the idea that kANILCA’s ambiguous provisions gave the NPS the power to alter these rights. In an exchange with Breyer, Kovner clarified the federal government’s alternative arguments: (1) because navigable waters are public lands, the NPS has authority to regulate them under ANILCA; or (2) even if the waters are not public lands, but ANILCA gives the NPS the authority to regulate public and non-public lands within the boundaries of the conservation service unit in question – within the “unit” of federal control – as long as the rules are not solely about the particular conservation service unit. At the end of her argument, Breyer asked Kovner if the federal government would accept a disposition of the case in which the Court reversed the Ninth Circuit’s holding but sent the case back for consideration of other arguments, including an inquiry into the definition of “public land” or the exact authority over navigable waters. Sotomayor joined in, wondering why the government was not defending the opinion below and asking point blank if the Ninth Circuit’s interpretation of Section 103(c) was correct. 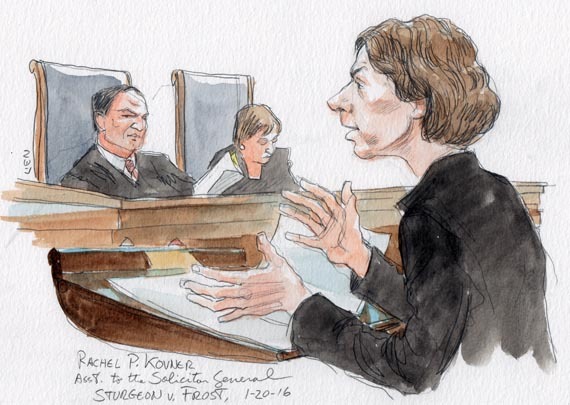 Kovner said “yes,” but the defense was not entirely convincing, and one can imagine Alito smiling at her apparent discomfort. They’ve already done that with the 9(b) oil and gas regulations, seeking to apply those to non­Federal land within Alaska. And the hits are going to keep on coming unless this Court stops this interpretation and goes back to what 103(c) was meant to do, which was to prevent the Park Service from taking these lands that aren’t owned by the government and regulating them as though they are part of the park. The oral argument does not leave clear signs as to whether the Court is willing to take up that challenge.